Worried about the cost of assisted living? If you are, you’re not alone. A recent study conducted by the Conversation Research Institute (CRI) in Louisville, Kentucky, states that 44% of negative conversations occurring online about assisted living involve discussions of finances (CRI, 2017). And it’s easy to see why. 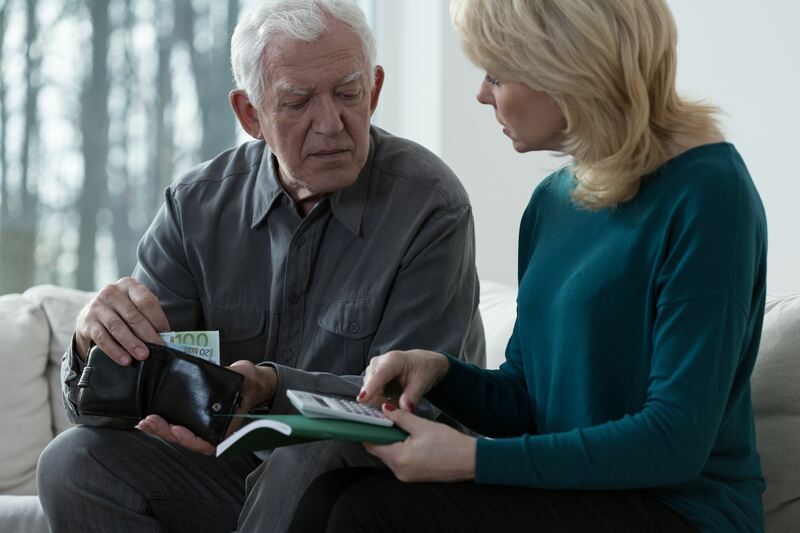 With so many options and levels of care to wade through, finding the right kind of assistance for your loved one can be overwhelming, even without the worry of financial planning. The study also explains that assisted living, more than skilled nursing or independent living, has the highest rate of negative conversations regarding cost. Negative conversations about cost made up only 13% of skilled nursing conversations and none for independent living (CRI, 2017). This is an important discovery for assisted living communities, as it demonstrates a need for better cost transparency and more involvement and education for the financially responsible parties of assisted living residents. According to Senior Housing News, the study analyzed news sites, comments sections, social networks, blogs, microblogs, professional and consumer review sites, forums and message boards, question and answer forums, and other online venues between November 1, 2015, and October 31, 2016. The result was approximately 1,200 posts analyzed to make up the final report. At SLM, we understand that planning for your loved one’s care should be the focus. That’s why we work with you initially and on an ongoing basis to ensure that you understand the costs associated with the care your loved one needs. We present all costs to the residents and/or financially responsible parties, including rent, ancillaries, and levels of care so you know what to expect. How does SLM do this? After we carefully state all the costs of the apartment and any ancillaries by going through the resident contract in depth, we conduct a Functional Evaluation at move in, then again 30 days after move in, and every 90 days thereafter unless an incident occurs before the 90 days which may warrant a change in care. Functional Evaluations are always discussed with the financially responsible parties before any changes are made to The Levels of Care fees. This way, you have a say about the care of your loved one. Contact Senior Living Management today to learn more about assisted living for your aging loved ones. We’re here to help.